I have had this post drafted for several months in my head, but am just getting around to posting it and I am so excited to do so! 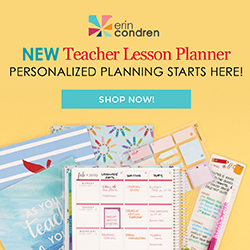 I really wanted to make sure it worked throughout the course of a school year and, now that the year is done, I am happy share what worked well and what I tweaked throughout the year. As you know, I love and adore the Clip Chart- I first posted about it HERE and I highly recommend checking out the eBook that goes along with this program, as it's full of helpful hints and tips. I was also highly intrigued by the idea of the Super Improver Wall that was mentioned last summer at the Whole Brain Teaching Conference that I blogged about HERE. Notice what's different? 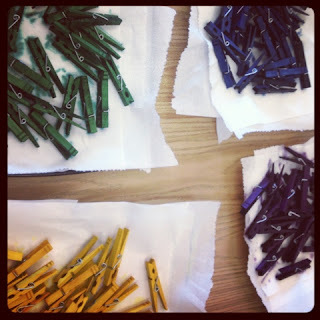 Mostly, it's the colored clothespins. Remember this craft from a Monday Made-It last summer? Kids clip up throughout the day when I see them doing something special. Sometime a clip up is guaranteed, sometimes it is random, and sometimes it will be on an individual or whole-group scale. At the end of the day, I check to see who has clipped up to Star Student (I switched this to Star Leader about halfway through the year to correspond to our 7 Habits work)- that's a HUGE deal and if kids reach this, they get a star sticker on their clothespin. If they get to Star Student/Star Leader again, instead of a 6th star, they get a.... drumroll..... new color clip!! Woo hoo! I simply have them remove the 5 stickers from their current clip and turn in their old one for a new one. To be able to reuse them year after year, I simply add their class number only to the new clips. The top three colors are bronze, silver and gold- I am using black clothespins and drawing on them with Metallic Sharpies- they look awesome. And that's it! It's basically the Clip Chart with a year-long record-keeping system. I hang the Super Improver Levels nearby so kids can see what the next level is that they are working toward and I used a sports theme to keep it engaging throughout the year. This also allows me to play with the stars a bit more. For example, for a particularly challenging student, I may strike a bargain that landing on "Role Model" would get a star and "Star Leader" would equal two stars. I could also celebrate big accomplishments or achievements for a student with a star. Teacher Tip: There's a lot of flexibility and to have the colors displayed helped me get creative with how I could reward certain kiddos who had been on the same level for a while. I used this for my guidance because (confession!) I have the tendency to reward the same kiddos over and over (yikes! ), so while some kids can obviously clip up a lot, I found this system challenged me to ensure that **all** kids were moving up the Super Improver Levels-- yay! I love this. I use a clip chart in my resource room. You've got me thinking now about that super improver tidbit! Thanks, Kim! I really liked the way it kept the kids motivated (and helped keep me accountable to looking for the positives) the whole year :) Glad it could help! I'm moving from fifth to third next year and I've been thinking about my behavior management system so I was thinking about using a clip chart. I also learned about the super improver board last summer and started it this year but never followed through with it. I love how you combined the two. I pinned this post and I will definitely be revisiting it this summer. Thanks for sharing. Some teachers at our school did some form of this, with the colored clothespins. I want to add the colored clothespins to replace my outstanding tickets I give. What stickers do you use on clothespins? My gems I used at the beginning of the year kept falling off. Also I use class dojo in combination with my clip chart for two reasons. First, I don't have kids clipping up in the middle of a lesson. Second, part of my Individual Professional Development Plan is to show improvement in student behavior as a result of the classroom management strategies I am using. Class dojo keeps the data for me which is a huge plus. I will soon be checking out how you dyed the clothespins. Thanks for this post. Thanks for sharing the charts. I definitely plan to change to the Clip Chart for Class behavior instead of pulling cards like I have used for the last nine years. I also love the Super Improver Wall and used it this year for the first time. You'll have to stop by my blog and check it out. I really hope to implement more WBT ideas next year. I thought the Super Improver Wall was meant to be student designed goals though. Am I misunderstanding, or is that part of the tweaking you did? Yep, that was the tweaking I did. Now that I have a year under my belt of meshing these two, I want to encourage more ways to earn stars like in the SIW, so that kids don't always have to end the day on "Star Leader". Every year, there's always a new layer to add :) :) Thanks! I loved the Super Improver wall too when I went to the conference in April! 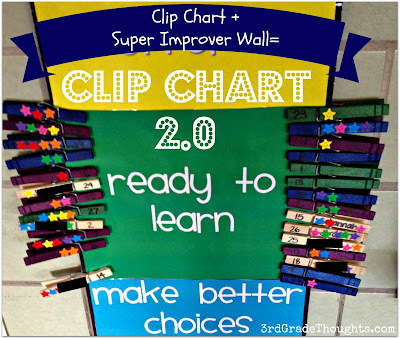 I feel the same way, I love the clip chart, but I also LOVE the super improver wall!! I can't wait to see what you do and how you mix these two ideas!! Question: what about kids who consistently clip DOWN? Or do you avoid having kids clip down at all costs? For the children who deliberately seek attention in negative ways, or who consistently break classroom rules, do they eventually stop trying because they still have a "rookie" colored clip? Also, do you use any individual behavior plans with challenging students, or does everyone use the clip chart? I'm VERY interested in trying the clip chart -- or some variation of it -- next year, but I'm trying to figure out all the nuances. :) Thanks! The kids who clip down are generally put on a behavior plan. I am a *huge* proponent of positive reinforcement, so even if a student clips down for something, I make sure they know why (we have a private 1-1 conversation) and then I *immediately* start looking for a reason to have him/her clip up. This is where my "deal" comes in, and to be honest, no other kid has complained because it makes our classroom a better place to have that kiddo working to get a star! For example, I may give the student 2 stars for ending the day on Star Leader instead of one. This year, it took a few days (and a *lot* of purposeful observing on my end! ), but he got there and it was a bright moment for both him and I. My suggestion would be to be very flexible and reflective with it all and make it work for you :) Good luck!! I wanted to implement the super improver wall this year too but wasn't sure how to do it, thank you for this perfect idea to merge my clip chart and the super improver wall together! LOVE IT! Do you use special size paper for the clip chart considering ready to learn is bigger than the others? This is great, Stephanie! I love how you meshed the two systems together. I ended up doing something very similar last year! Instead of changing the colors of my students' magnets on the actual chart, I made a SmartBoard file where we changed the color digitally. The biggest problem I had with it was that I had some VERY competitive and bright students who did not have the "highest" color and had a very hard time not being "the best." I could not get this handful of students to stop comparing their colors. Did you run into that problem at all? After reading your blog, I used the super improver wall this last year in my classroom and really liked it. However, I was thinking about using a clip chart and didn't know if both would be too much. You solved my problem! I love how you combined the two and I am definately going to switch to this. Thank you for sharing. I do not understand. The SIW is about any improvement. Your system with this is move a clip up, sometimes randomly, and they get a star when they reach the top? Doing that is defeating the purpose of the improver wall. You state that they need to improve in multiple things in order to get one star; the wall is for instant gratification, taking it to the multiple levels before reward creates the defeated attitude the wall negates. I read that you can make deals with the struggling kids to move up quicker which creates negative feelings from classmates of unfairness, I would think. Maybe Im just not understanding... Maybe its just because I hate clip charts and would love for schools to get away from them. The beauty of the wall is we are never negative. Clip charts are negative and positive- a student has a bright moment, they move up. They get mad and throw something now we teachers must move the clip down, canceling out the good that kid had. We are back to the "slow kid gets the F" story. I love this, and I've decided to do it in my third grade next year. However, I checked out RIT dyes at Michael's. At $2.50 or so a box, and 9 colors, that gets expensive! Any suggestions? Great question! I bought my dyes at Hobby Lobby and they were 50% off (woo hoo! ), but if they aren't on sale, you could also try their website for coupons (they have them all of the time for 40% off). 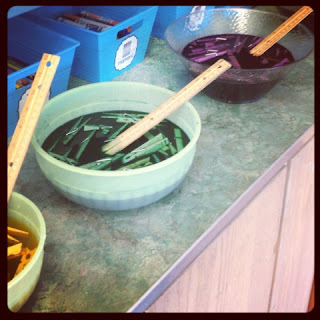 I would also recommend making your own colors by mixing-- you definitely don't need the full pack of dye for a class set of clothespins, so there's plenty left over for combining to make orange, green, purple, etc. Hope that helps and good luck! Thanks for the feedback. 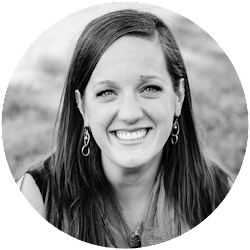 I've been studying your blog a lot lately, as I don't have any training in WBT or 7 Habits and both are intriguing to me. Check out how I'm adapting your ideas at my blog! I have been reading you blog for a while now, and I have to say I love it! I just started my own blog, and I just posted about my love for the clip chart! 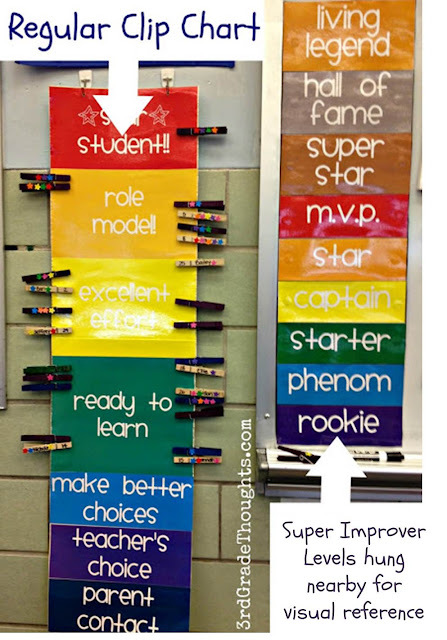 I love this idea so much I'll have to post about using Super Improvers with the Clip Chart! Of course I'll link straight back to you! You're a genius! Hello Stephanie. I am very excited to try this and just finished making the two charts. I wanted to know what you thought of making a colored stripe with a marker on the clips as they reached the improver categories rather than having many different colored clips? I ask because I have searched three stores for clips and they are already selling out. Thank you for the idea and feedback. I think that's totally doable! It would definitely save you storage space of all of these clips, that's for sure ;) Let me know how it goes! I don't quite understand how you use this with WBT scoreboard and levels...could you explain a bit more...thank you! Question though: how do you include Practice Cards and Rewards? I am very new to whole brain teaching. I have beem looking for how other teachers have used whole brain teaching with clip charts. So excited to find your post!! I have been doing LOTS of ressearch and have read TONS of blogs and books this summer on WBT. This will be m first year to use WBT in my classroom but I am super excited! I do have a question about the clip chart. I know you move it up for positives but have a question on when to move a clip down. From what I have read when a student breaks a rule the teacher calls out "rule #--" t remind the student. I have also read about the cards. What do you move clips down for? Do they get a reminder or just down? Or do you use a modified version of WBT? Absolutely love love love love and adore this idea SO MUCH! I began implementing this exactly as you are doing it and the kids are eating it up. I was giving rewards and prizes for earning "off the charts" but moving up on a super improver wall and getting a new colored clip isWAY BETTER. 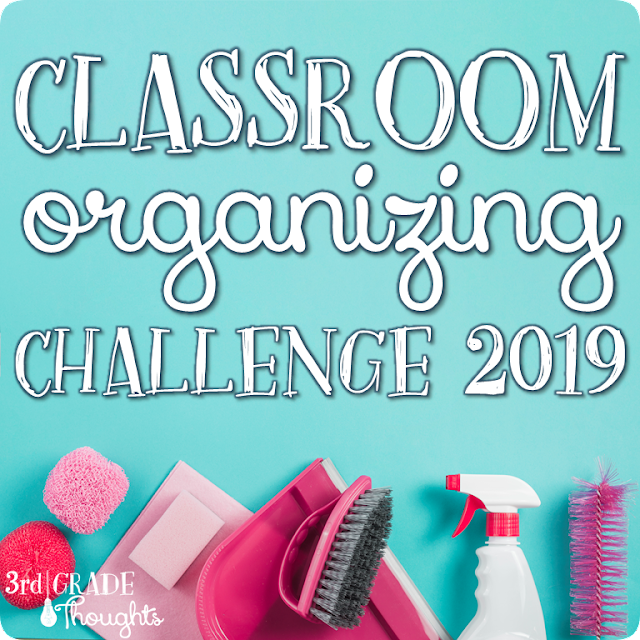 Such a great way to empower your kiddos!!! Lots of room to prove themselves! I love it! Ohh I like it! I was looking for clip chart but also wanted something different! I guess I will be buying clothes pins and dye! Thanks for sharing! This is great! I love the way you are using both, as I started reading I wasn't sure it would work, but I love the clothespins and the stickers. And also being honest, because we all tend to reward the same kids, the visual is amazing, thanks so much for sharing!